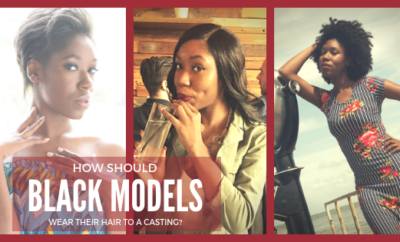 Come see me and other local models modeling for the Pinktober Fashion Show at the Hard Rock Cafe in Philadelphia on October 6, 2013. The show starts at 6pm and the proceeds from the door will go to the Susan G. Komen Foundation. Buy your tickets to the show online for $7, at the door its $10. 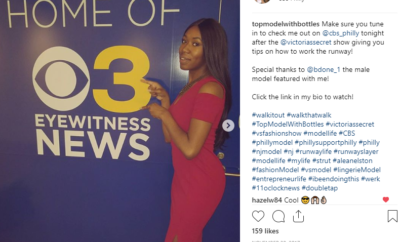 The show will feature Philly designers Kristin Simms and Trisha Williams as well as students from Moore College and the Art Institute of Philadelphia. 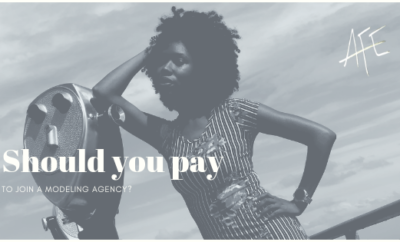 There will also be a silent auction that evening, I am auctioning off a 2 hour 1-on-1 runway training session. 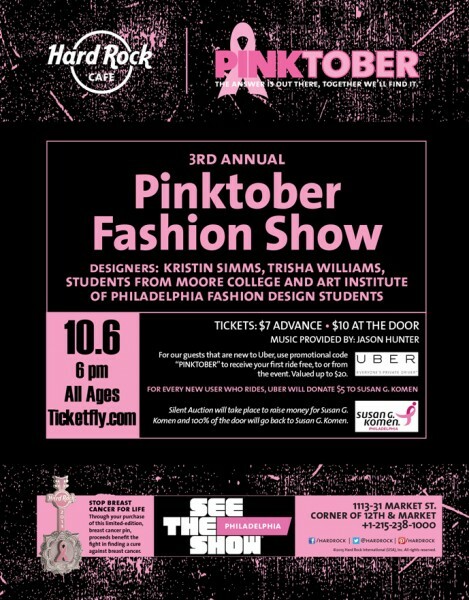 If you are interested in bidding on it get your ticket for the show here – http://www.ticketfly.com/event/357905-pinktober-fashion-show-philadelphia/ and show up and have a great time for a great cause.